5×5 Lab has opened office space in the new Troy Innovation Garage space on 4th Street in Troy, NY. “This new space has allowed us the opportunity to work alongside other firms and business professionals. We learn about new technologies and strategies much faster than if we were cooped-up in our own closed office somewhere.”, says John Karling, one of the principals of the 5×5 Lab design firm. 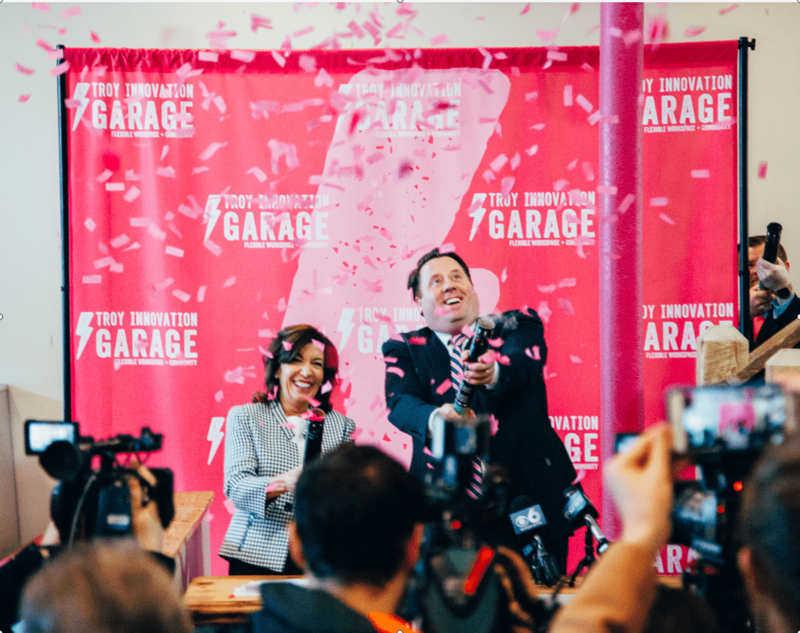 The Troy Innovation Garage will have a grand opening on March 7, 2017. Kathy Hochul, the Lt. Governor of NY State will be on hand for the ribbon cutting.